Grain de musc: Berlin with Christophe Laudamiel (2): "Your brain is learning a new language, it will not explode"
Berlin with Christophe Laudamiel (2): "Your brain is learning a new language, it will not explode"
Since the visual will always trump the less verbalized, fuzzier olfactory perceptions, exhibitions using scent often tend to turn the latter into a gadget. 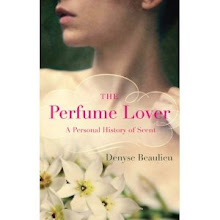 As for exhibitions of scent, they struggle with the way scents are shown. Perfume is an art of space: boundless and diffusive, it saturates the air and mixes with other compositions. It is also an art of time: its form develops over the hours, so that sending out a puff of Jicky will distort the form of Jicky, which is not meant to be perceived all at once but as it evaporates. Perfume is also a type of performance art. First because, if it has been conceived as fine fragrance, the heat of its wearer’s body is needed for its form to become perceptible. Then, more importantly, because it is our “reading” of it that materializes it into words, images, stories. 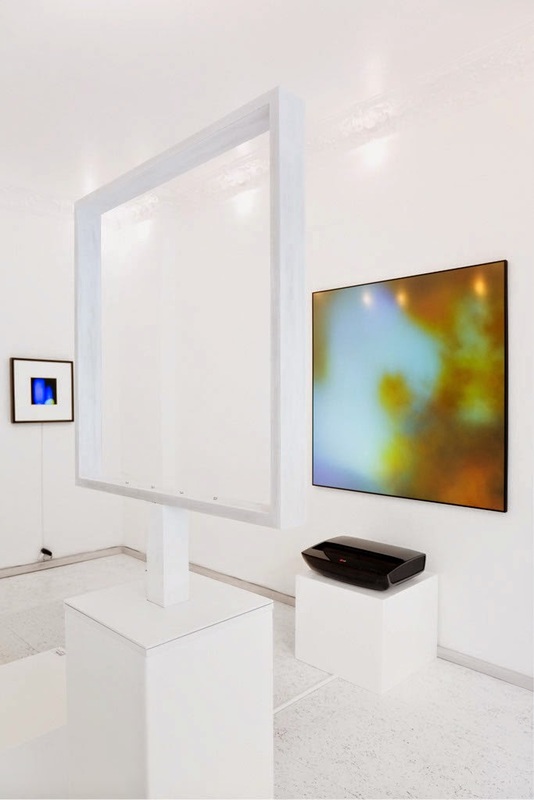 Christophe Laudamiel and Jakob Kupfer’s joint exhibition at the Mianki Gallery in Berlin(from 13.03 to 19.04.2014) plays on these phenomena while subtly disrupting them. The exhibition displays a series of installations designed to experience/experiment on the way colors and shapes inflect olfactive perception. 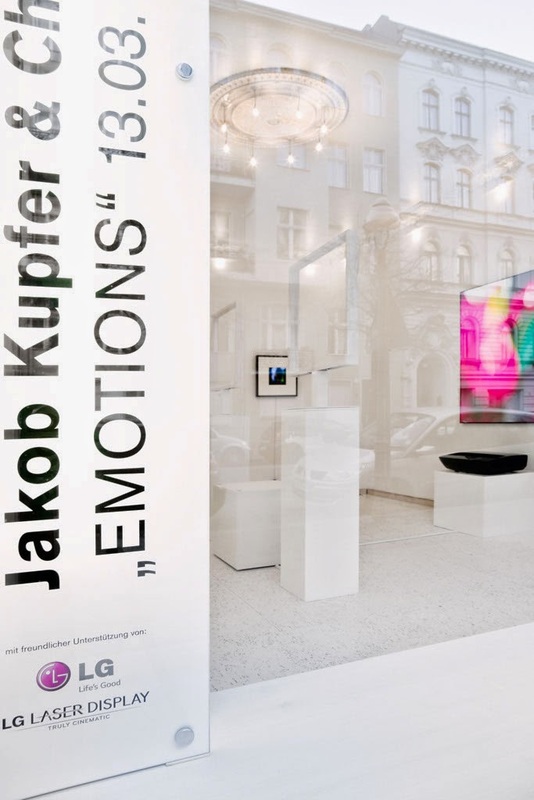 Jakob Kupfer is an elusive Lichtmahler (a term gallerist Andreas Herrmann translates as “photo painter”, i.e. “painter with light”) whom no one has ever met. He supplied two types of images called FADES. The first are photos of colored lights on waxed pigment prints that somehow feel like they are moving, reproducing the unfocused gaze of a newborn’s eyesight. The others are light-boxes in which many pictures are layered: a mechanism within the box creates a “motion picture”, so that the abstract colored spots are constantly morphing. 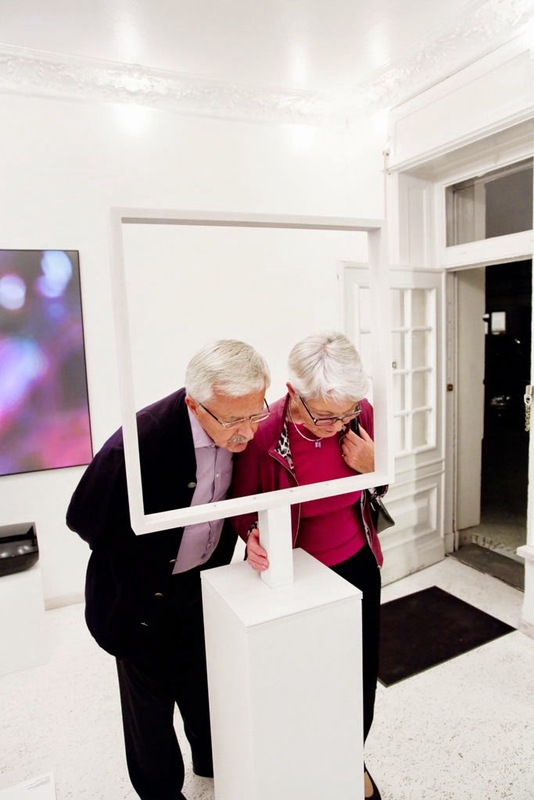 Two square white “frames” are set in the middle of the room. You’re meant to put your head inside a frame and look at one of the pictures while pressing a button to catch a whiff of either Four Seasons Flower or Gone with the Wind. Your spontaneous perception of the scent will vary according to what you’re seeing. Both scents are “static”: it is the movement of the images that induces a sense of time at each “scent-viewing”, as your brain is tricked by colors into perceiving the notes differently each time you see-smell. So that the classic relationship between image (static) and fragrance (evolutive) is reversed. Or rather, they contaminate each other, since the moving image sets the scent in motion, and the scent-moment freeze-frames the morphing image. The action of scent on image also induces figurative artefacts: when your brain gropes for representations (as it always does in the presence of abstract perfumes or pictures), you start see-smell-naming real things. For me: successively jelly beans, cotton balls, a splash of green sap. The second type of installation solves the main commercial issue of scent-art: its invasive nature. 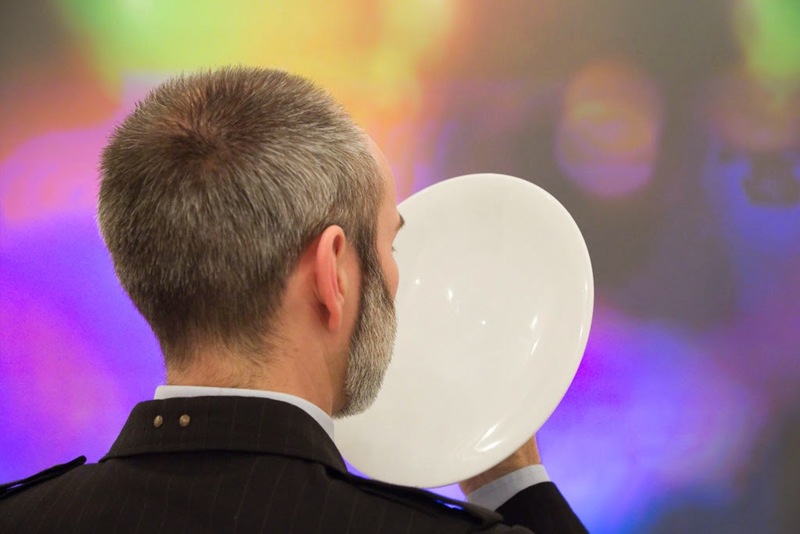 Here, the scents are presented in “parabola”: concave porcelain dishes with a lid, holding impregnated pieces of ceramic. You smell the “fumes” in the lid. You put the genie back in the bottle when you set the lid back on the dish. These can be experienced with or without a visual “partner”: in the latter case, words (the titles) act as hooks for meaning, though you are encouraged to smell first, read later. Scent art is not a Greenbergian, intransitive “nothing but the olfactory” form of expression: it always-already plays on the words that inspired it or that it inspires. Because the idea is to experience each “sight-smell” as spontaneously as possible, these installations yield the constantly renewed pleasure of surprise. And because these successive, instantaneous bubbles of see-smell-name play on the most fleeting of perceptions, brought on by the most ungraspable, indescribable elements – scent molecules and photons --, they generate myriad immaterial, irreproducible, ephemeral, individual artworks. Tiny synesthetic seizures; stop-motion brainwaves; pop-up memories. And the beauty of it is that anyone can get it. 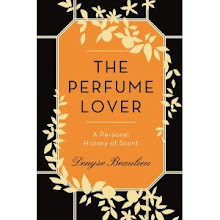 This novel form of show-and-smell manages to be pedagogical – the other major hurdle of scent-art is that almost no one knows about fragrance, so that you always have to go back to Scent 101 – without supplying a word of explanation, just a set of directions. 2. Breathe naturally, do not sniff or change your breathing. 3. Your nose habituates to a scent in minutes but does not get tired. 4. To refresh: breathe your own skin, no coffee beans please. 5. Your brain is learning a new language, it will not explode. For parts 1 and 3 of this series, click here and here.